As I am over in Yorkshire, England, I thought it would be a great opportunity to try cooking on my Mother’s AGA stove. We found some Ink Cap mushrooms growing in the garden, and so decided to make some lovely mushroom soup. You must never risk eating mushrooms unless you are certain that they are safe. 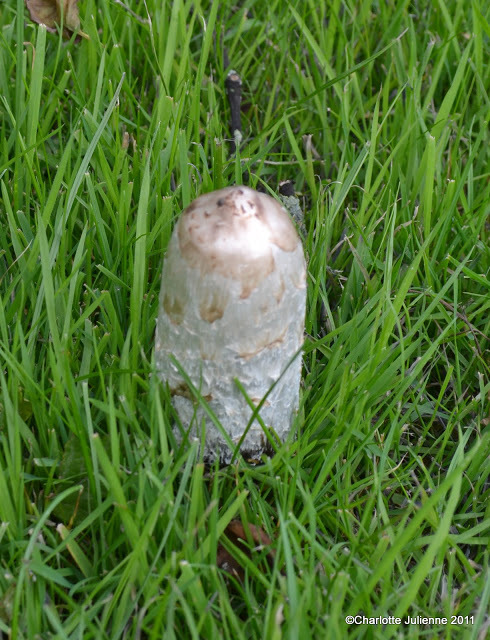 This mushroom is known as the shaggy ink cap. Its Latin name is Coprinus Comatus. As it grows the gills are white, then pink, and then they turn black and it produces a black liquid of spores that resembles pen ink. It needs to be picked when it is young and needs to be used straight away as it degrades very quickly. Place all the ingredients except the cream in a saucepan and heat on high for 5 to 10 minutes. Then remove the bay leaf, add the cream and heat for another couple of minutes. Blend to a puree then check the seasoning.